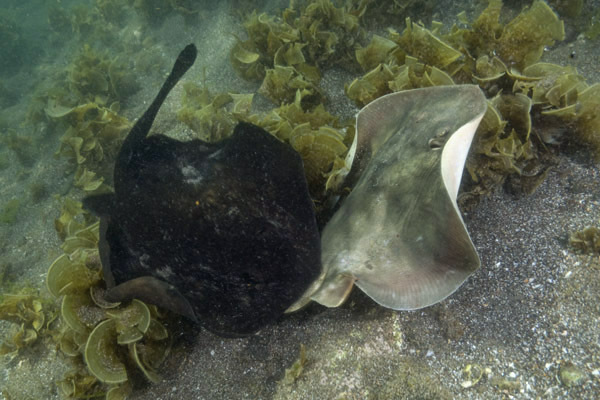 A selection of images of different species of sharks and rays displaying courtship and mating behavior. 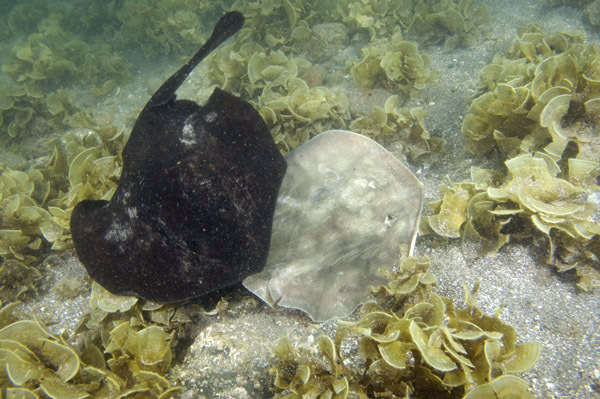 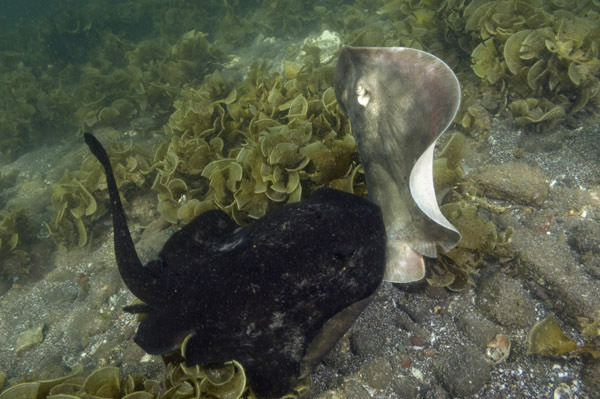 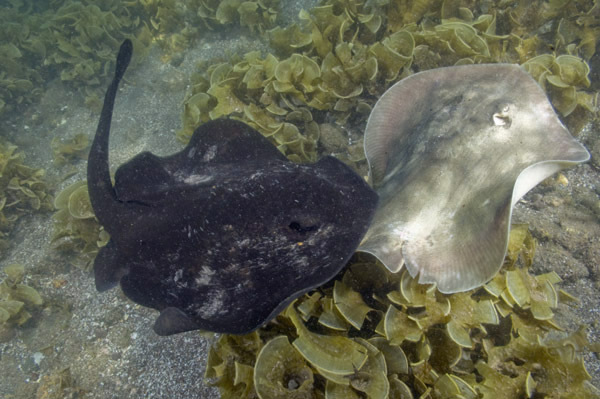 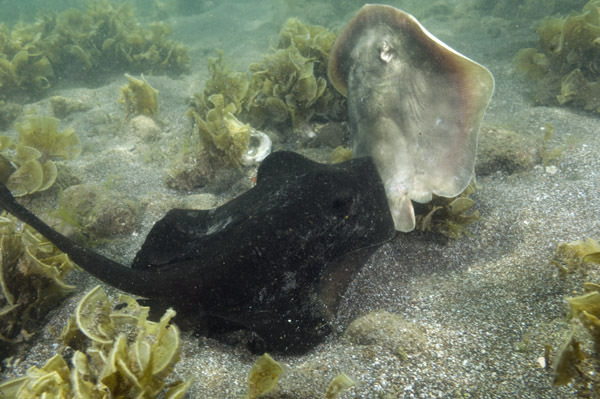 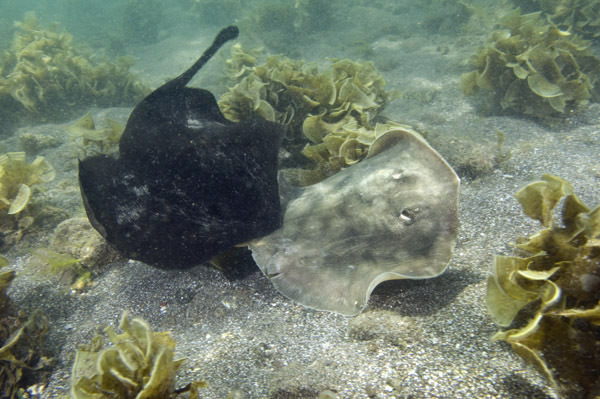 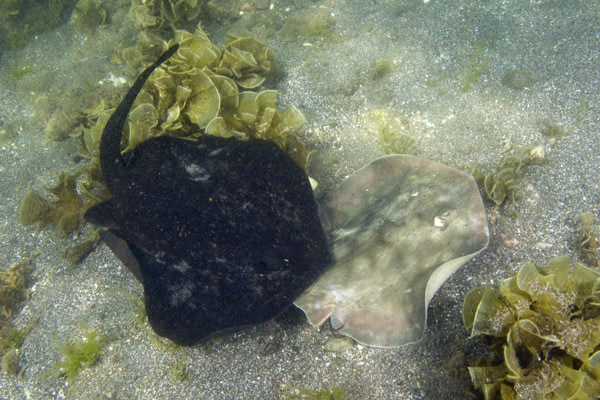 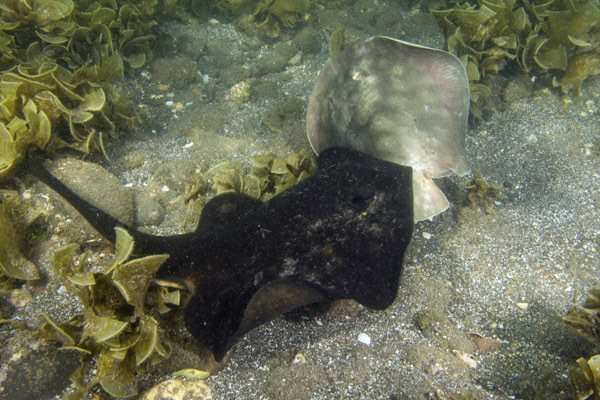 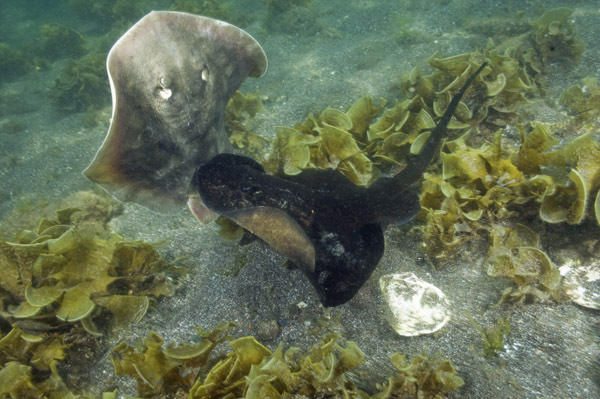 Courting Round Stingrays Urobatis halleri. 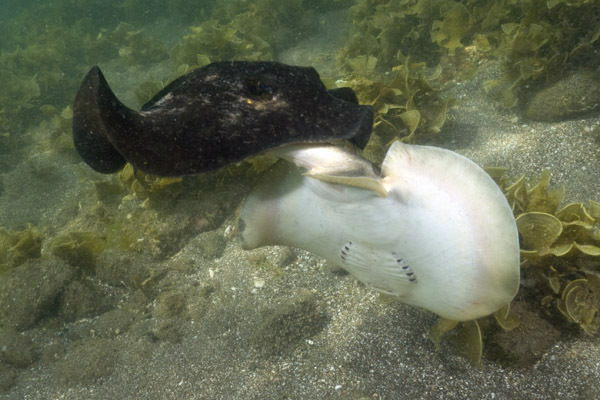 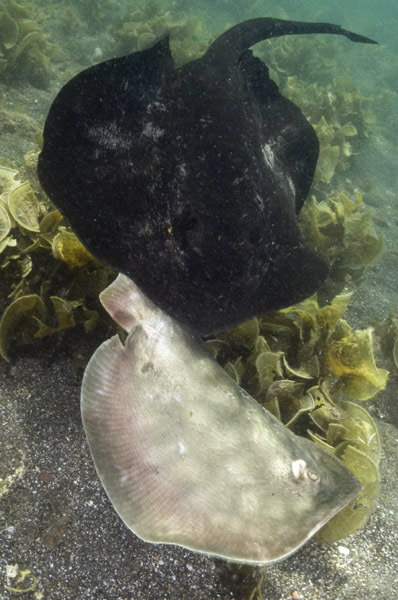 The dark male round stingray is trying to subdue the female by holding onto her tail and pelvic region while she tries to escape. 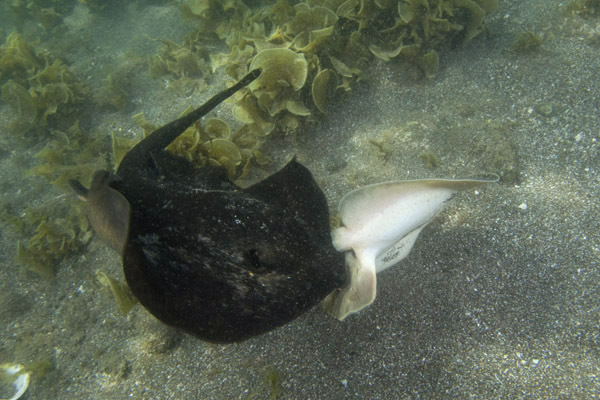 If he is successful, the female will eventually tire and allow him to settle onto her ventrum to ventrum (belly to belly) for mating to take place. 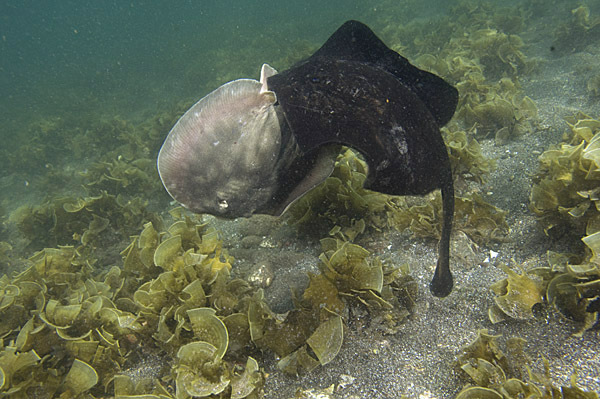 Images of sharks with mating scars. 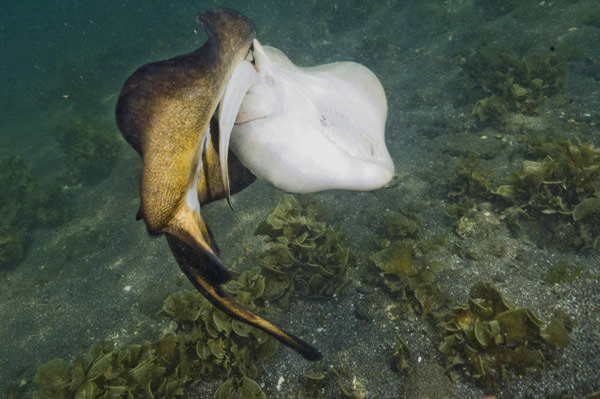 Male sharks frequently bite the flank or pectoral area of the female to stay in position while mating takes place.